Confirm quickly and reschedule painlessly. 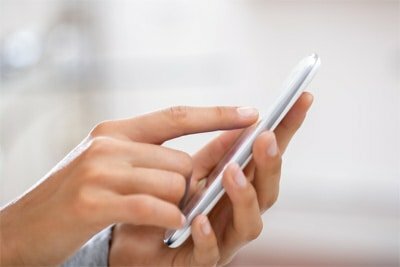 As a part of our commitment to increasing patient retention in clinical trials, we have designed text message appointment reminders to ensure study participants show up for their site visits, when scheduled. To keep participants ready and prepared for their trial participation, we’ve designed innovative text messaging solutions that confirm trial participants will attend their upcoming appointments and include any instructions to prepare them for what is required. Understanding the importance of incorporating these behavioral modifications has given Mosio the leg up on helping clients produce better outcomes in their studies. Fix your no-show problem with text appointment reminders. We understand the effectiveness of automated text message appointment reminders in keeping trial participants in the loop. We have thoughtfully designed a personalized text message reminder technology that enables research teams to engage participants in advance of the appointment and confirm attendance. This empowers patients to clear their schedule in advance and be prepared on the day of their appointment. If they cannot make an appointment, the system responds with a quick call-to-action for the participant to reschedule and simultaneously notify research coordinators of cancelations so rescheduling can happen as soon as possible while keeping patients engaged. 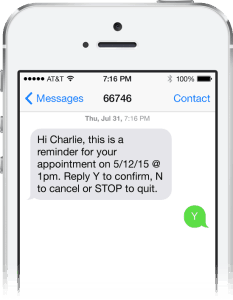 Our text appointment reminders equip trial participants with easy-to-follow instructions on preparing for their upcoming appointments, either via multiple messages or trackable links to more detailed instructions. With Mosio, participants are not only well-positioned to attend their appointments but they also remain engaged and compliant in their study activities.